Form follows function and thus, it appears like a Salamander. The wings appear the same as on the Bell X-1 “Glamorous Glennis”. Never flew, despite great promise in the design. The pilot would fly while lying down, prone, in the cockpit. A single engine super jet that was amazingly aerodynamic! Yeah! You’ve got it fast. According to David Masters, in: ‘German Jet Genesis’, Jane’s, ISBN 0 7106 0186 7, the Hs-132 was designed for ground attack, to replace the vulnerable Ju-87 Stuka. Six prototypes were ordered, construction beginning in March 1945, one was nearly complete by the end of war, others in advanced construction state, all captured by Soviets. 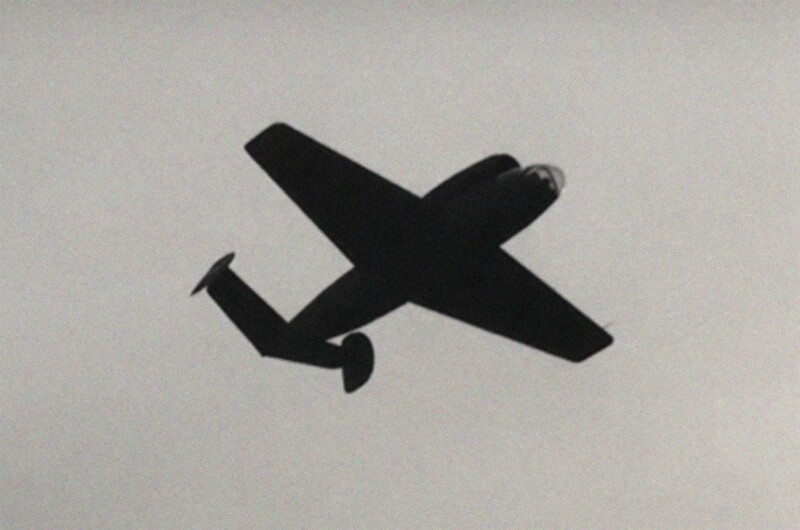 D M ignores if it were ever flown, but this image indicates the Hs-132 was flown. The comment is well-researched and accurate except for one thing — the photo in this What’s That? posting was mocked up in Photoshop. We have no actual record of the jet flying, sadly. Based on the design, it seems clear that it would have flown quite well, however. – Staff at Historic Wings.